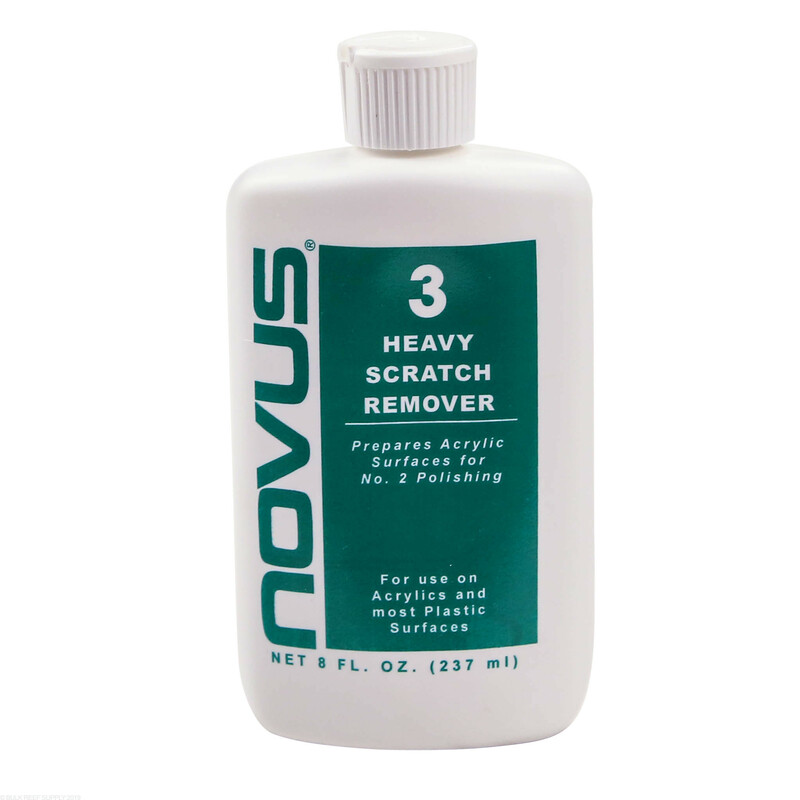 Heavy Scratch Remover #3 - 2 oz. 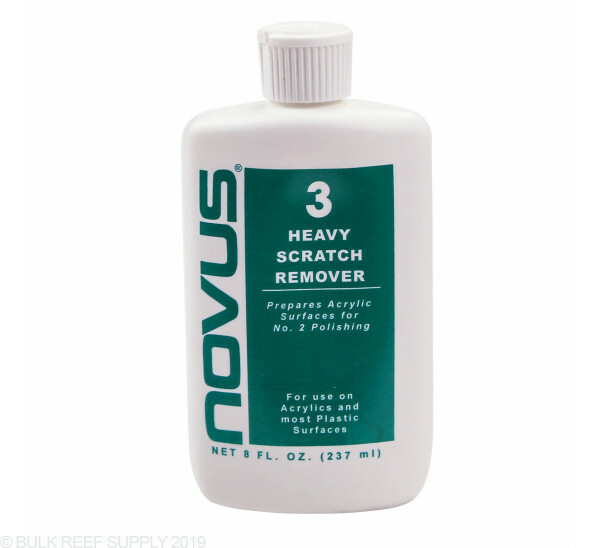 Heavy Scratch Remover #3 - 8 oz. 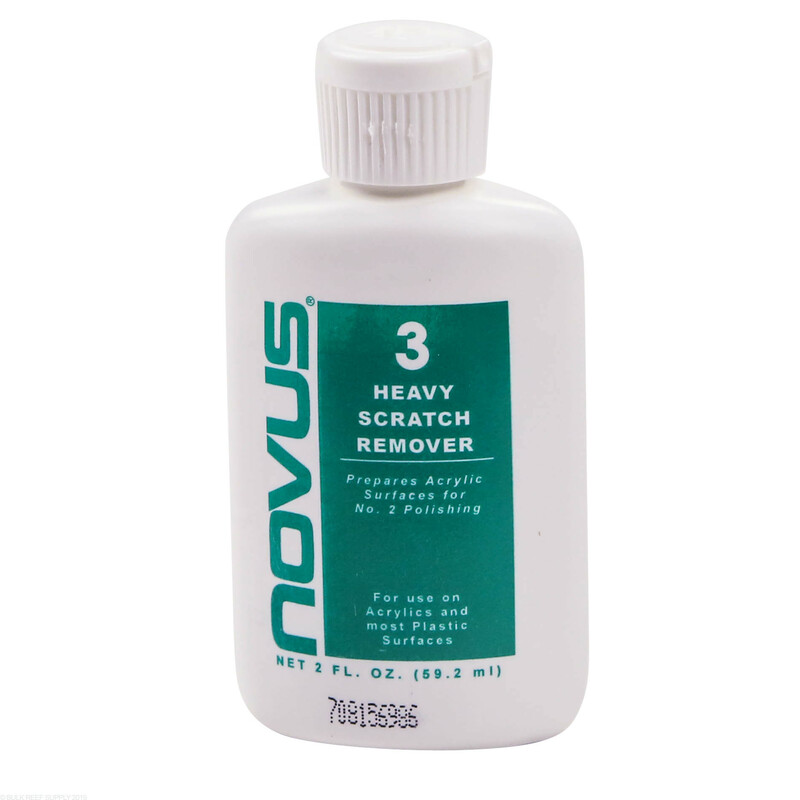 Step #3 - Heavy Scratch remover will remove most heavier, deeper scratches, and other large abrasions from acrylic and most other plastic surfaces. 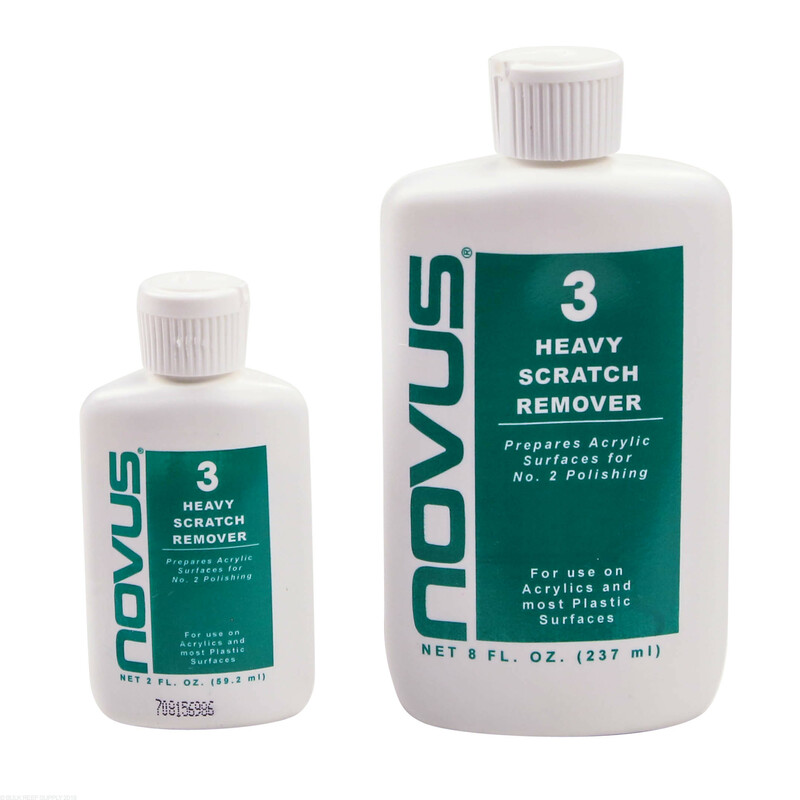 The abrasive formula quickly removes scratches that would not normally be removed by most traditional plastic buffing compounds and allowing easy follow up with step #2 Fine Scratch Remover. Requires use of Novus No. 1 and 2 for final finishing. Works on a wide variety of plastic surfaces. Note: Do not use on coated plastics. I have vinyl dining room chairs which have minor scratches to each chair, 6 of them. They were scratched by my cat's back claws. You can't see the scratches, but can feel them. Will this product work? The area to fix is a cream color. If the material you are working with is a plastic base like vinyl, Novus polish should work just fine. We suggest trying it out in an inconspicuous area first for compatibility, but we have had great luck with all colors of plastic. 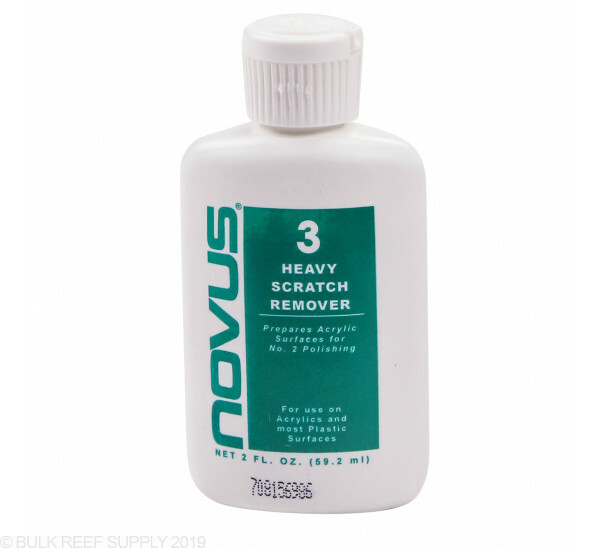 You will want to make sure that the vinyl is colored all the way through the material and if it is, Novus #3 and Novus #2 should be able to take the scratches out. Depending on the severity of the scratches a little wet sanding before the polish may be necessary before hand, but you can always try the Novus first, and then go to sanding if the Novus didn’t take them out completely.